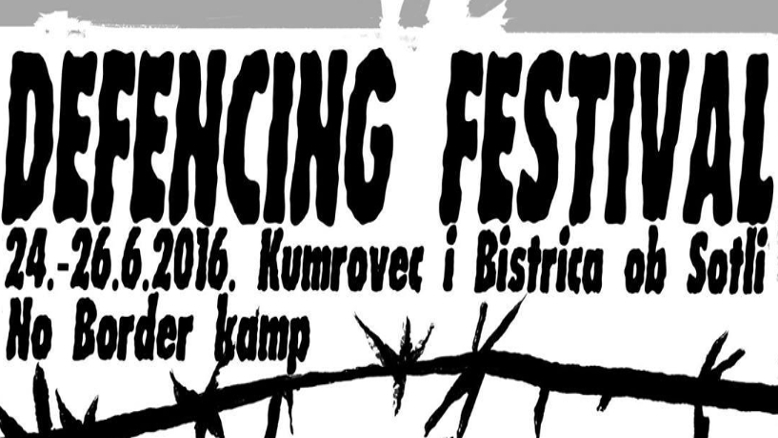 The Defencing festival on the border between Slovenia and Croatia is approaching. This weekend, from June 24 to June 26 we will express our refusal of repression against refugees and migrants, against construction of fences on the border, against closure of official Balkan Route, against shameful EU Turkey deal and Europe that applies policies dictated by racist and xenophobic populisms. And we well express our commitment to build solidarity and act in coordinated way so that freedom of movement becomes everyone’s right. For last two weeks Social Center Rog that harbours self organized refugee community was under threat of eviction. Comrades in Rog bravely and intelligently defended the place and scored significant victory against authoritarian municipal administration. But menace is far from being over. Although Rog has won temporary suspension of demolishment until court rules out in the dispute between activists and municipality, the situation is precarious because municipality appealed against the court decision while neo-nazis attack and threaten the place regularly. To support self organized refugee community in Ljubljana and Social Center Rog, we will start the Defencing festival on Friday, June 24 at noon with protest action. After the action in support of Rog we will head to the border, which is approximately an hour and a half from Ljubljana. If we will be short of personal vehicles to drive to the spot, we are considering to rent a bus. For this reason, we have to know as soon as possible how many people are coming and if you have your own means of transport. Please inform us about your arrival on d10.ljubljana@gmail.com. Let us also know if you are planning to arrive already on Thursday or if you are considering to come directly to the border. On the border we will stay in two camps. Each camp is located very close to the border with razor blade fence. 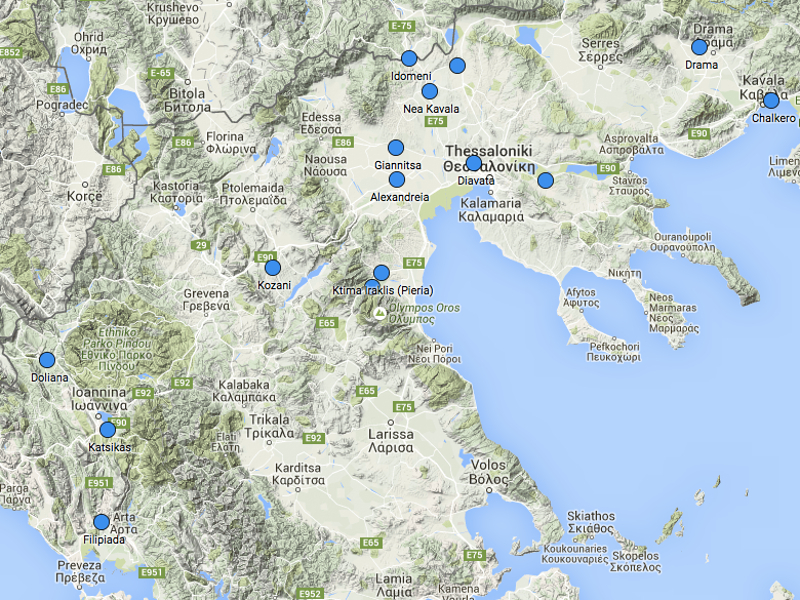 The majority of the festival activities are going to take place in those camps. Do not forget to bring your camping equipment. Please also think about how can you help to manage the camps and activities in camps. If you have any idea how to help (either with kitchen or program etc.) please let us know on d10.ljubljana@gmail.com or on the spot. Internet connection will be provided. After arrival to the border we are going to prepare camp (building tents…) and organize common life for next two days. In the evening there will be concert in the town of Bistrica ob Sotli. Concert is part of municipal festivities. Participants of the festival will have free entrance. On Saturday during the day there will be workshops and assemblies. The content of some workshops is already defined, but new ideas and searching for synergies are very welcomed. In the evening we will try to have a picnic on the section of the border were only little bridge separates two countries. In the camp on Croatian side of the border the day will be concluded with concert. In the camp on Slovenian side of the border there will be little movie festival and possibly also a concert. On Sunday we will have concluding workshops and assembly. Encourage long term collaboration along the Balkan Route and common activities in the region with the aim to drill various holes in the fenced border and build various bridges across.